After trying out Detroit: Become Human at PlayStation Experience, we wanted to see just how much deeper the possibilities become. So this time, we go a little deeper into Quantic Dream's latest. What's the next step in humanity's journey into the digital frontier? According to writer David Cage, it's sophisticated androids who fulfill everyday human tasks. In the world of Detroit: Become Human, the latest story-based adventure from Quantic Dream, androids are commonplace items. In Cage's own words, they're essentially smartphones with arms and legs, but who happen to look like the average person. The key point that Cage made sure to emphasize is that Detroit is not a fantasy sci-fi story. He believes in Detroit as a potential future for mankind, which makes it slightly more fascinating to jump into the circuits of three different androids with their own stories to tell. Shacknews last got a taste of Detroit in December at the most recent PlayStation Experience, but had the opportunity to return to Detroit to get a greater peek at what's ahead. The demo started off with the same missions from the PlayStation Experience demo. 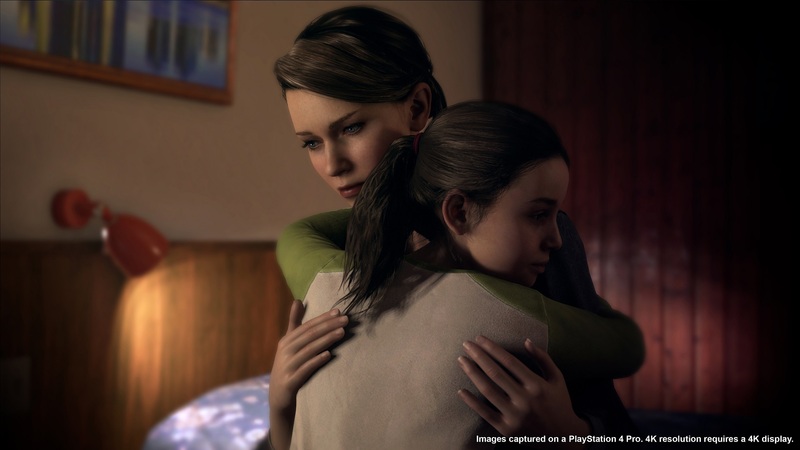 By now, everyone who's followed Detroit's trailers and behind-the-scenes videos are familiar with Connor's hostage negotiation scene and Kara's intervention in a child abuse scenario. Those scenes remain in place and are largely unchanged, but assuming Connor and Kara survive those scenes, their respective stories continue, as does the story of a third android. It should be noted that all three of their stories unfold as a whole, not as individual stories chosen by the player. Connor's journey takes him to a local bar, where he's tasked with finding Lt. Anderson, a grizzled veteran detective who doesn't care for androids. This is, by far, where Detroit shows the most promise, because Connor's stages are all about forensics and crime scene investigations. After retrieving Anderson, the two are sent to investigate a nearby homicide. Like in the prior demo stage, the idea is to search the crime scene for clues, scanning points of interest, examining objects and the corpse, and using everything he finds to reconstruct the crime scene moment-to-moment. Despite Anderson's antipathy for androids, he and Connor share good chemistry in going back-and-forth trying to piece together what went down and how the homicide came to be. Detroit's multiple outcomes come into play here, as the scene ends differently depending on several factors. Connor may find the perpetrator. He could run out of time and not be able to piece together all the clues. He may also find some false leads that go nowhere. Some of these outcomes also depend on his relationship with Anderson, which the game keeps track of throughout their time together. While I followed this scene up with a new scene, other members of my media brethren didn't get this far, since their outcome led them down a totally different path. This demo also filled in a few blanks for Kara. That's literally the case at the very beginning, as we meet Kara from a first-person perspective at a CyberLife shop, a storefront that comes across as a futuristic Radio Shack. Kara was recently repaired, with drug abuser Todd's dodgy answers making it sound like he broke her himself. That segued into the PlayStation Experience demo, where Kara became self-aware and intervened when Todd started to become violent. As I mentioned in that preview, there are several different outcomes here, but if Kara manages to escape with little Alice, the next scene becomes quite interesting. That's because the next scene balloons into a sea of choices and possibilities. The objective becomes to find a place to stay for the night. The rain is pouring down and Kara has no money or any safe place to go. Players are presented with a vast array of options. They can break into the junkyard and sleep in an abandoned car. They can venture across town to find a safe shelter, but there's only so much time to get there and there's no means of transportation. At first, I opted to try for the nearby motel, but that requires money. The local convenience store is open 24/7, so I tried pleading for help. When the clerk refused, an option popped up indicating that there was money in the register, indicating that Kara could get violent and try robbing the store. Sensing that this was the fastest way to trouble, I skipped the option and ultimately chose to sleep in the abandoned car in the junkyard. What blew me away was when the scene ended and I was presented with the web of possibilities. I also saw in the upper-left corner "17% complete." I had apparently only scratched the surface of what was possible. Lastly, there's Markus, who I had never met prior to this demo. He takes care of an elderly, enfeebled artist named Carl. His story begins with a task to pick up his pants from a local shop, where players are given a greater look into Detroit's world. Androids communicate with one another and complete transactions via transmissions akin to Bluetooth. Meanwhile, there are numerous protesters out in the streets, demonstrating against androids increasingly replacing humans for certain jobs and leaving them unemployed. Markus is even harassed until police intervene. 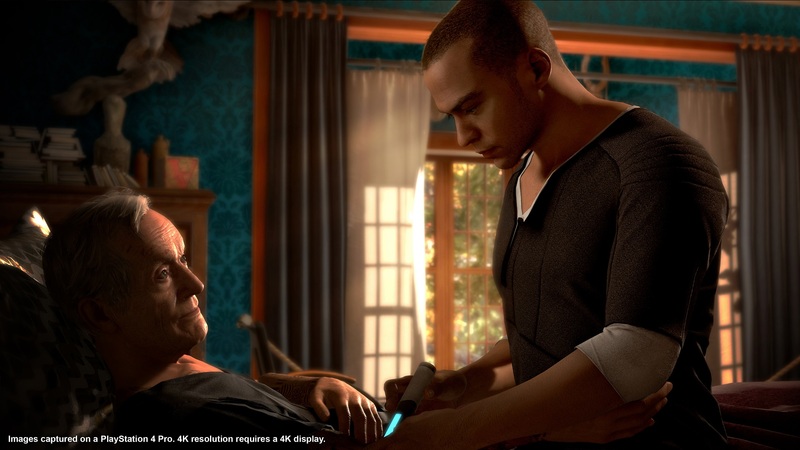 It's the later scenes with Carl where players are presented into what Markus' story has to offer. Anyone who has ever watched Star Trek: The Next Generation is familiar with Data's desire to learn the human experience. In Detroit, the wheelchair-bound Carl tries to convey that to Markus. He encourages Markus to read classic books and approach them critically, he tries to teach him the meaning of art, and he encourages him to analyze society. 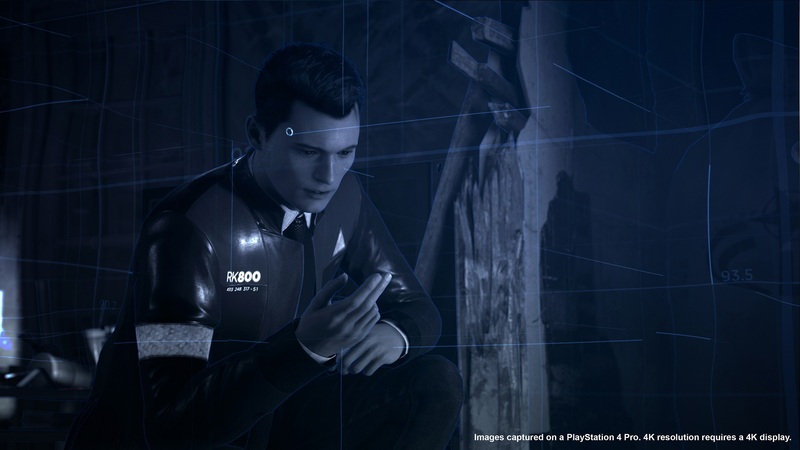 What Connor, Kara, and Markus' stories all have in common is that it approaches the idea of androids growing sentient in some fashion. However, what was interesting about David Cage's presentation prior to this hands-on was that he made sure to emphasize that sentience is purely an anomaly. This is less of a case of Skynet and more of a case of a small percentage of androids going "deviant." But what does it mean to be a "deviant" in this case? Is it right to treat these machines as objects when they look and act so much like us? Do they understand what it means to be human? These are the questions that Cage proposes and hopes players will keep in mind as they play through Detroit: Become Human. The game is set to release on PlayStation 4 on Friday, May 25, with Connor's "Hostage" mission becoming playable as a demo starting this Tuesday, April 24. But with these philosophical questions in mind, Shacknews had a few questions of our own for David Cage. So be sure to come back tomorrow, as Shacknews speaks to the Detroit: Become Human director about his latest effort and his approach to its story. I've been avoiding media for Detroit: Become Human but one thing I am curious about are the controls. Heavy Rain really left an impression on me (I picked it up a few years after release, knowing nothing of the game or developer) but I remember the clunky controls just as much. This type of AAA storytelling felt so new but the controls felt so last gen.
Can't decide if I am going to check out the demo tomorrow or just wait for the full game.